Oscar Fingal O’Flahertie Wills Wilde was an Irish writer and poet who became one of London’s most popular playwrights in the 1890s. He is remembered for his epigrams and plays, and his imprisonment, followed by his early death. Wilde was popular with influential contemporaries including George Bernard Shaw, Walt Whitman, and Henry Wadsworth Longfellow. Wilde went to Paris, penniless, and died there of meningitis on 30 November 1900. 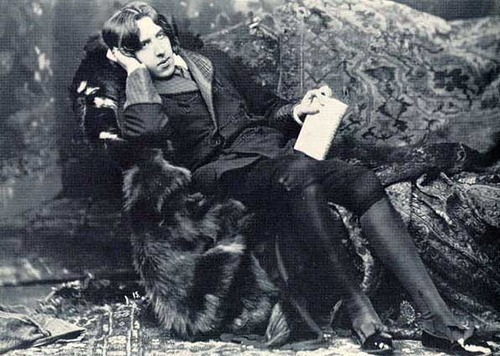 Follow this link to see a list of WIlde's most famous epigrams in The Guardian, which says Wilde was "Probably the most-quoted author after Shakespeare, and certainly the wittiest."